What comes to mind when you think of London? Is it the soldiers with the red uniforms and the funny tall hats that guard the queen? Do you picture the city’s iconic black cabs? Or maybe it’s those unmistakable red telephone boxes. Except…do they even still exist nowadays when everybody carries a smartphone in their pocket and a tablet in their backpack? Well, in London at least, those humble red (or black) phone boxes are trying their hardest to stay relevant – and here’s how they’re doing it. 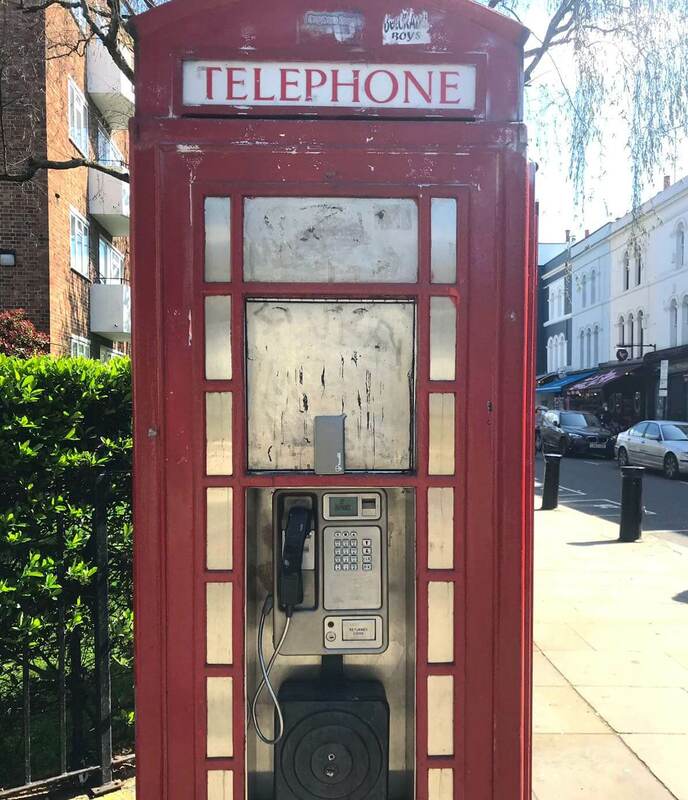 Now that practically nobody has any use for coin-operated public telephones, the UK’s innumerable phone boxes have quickly become obsolete. With perfect British eccentricity, some have been preserved in the most creative ways – just look at one that was converted into a miniature lending library in the village of Little Shelford, Cambridgeshire as an example. But does the age of ubiquitous smartphones herald the imminent disappearance of these beloved but anachronistic high street features? Perhaps not just yet. 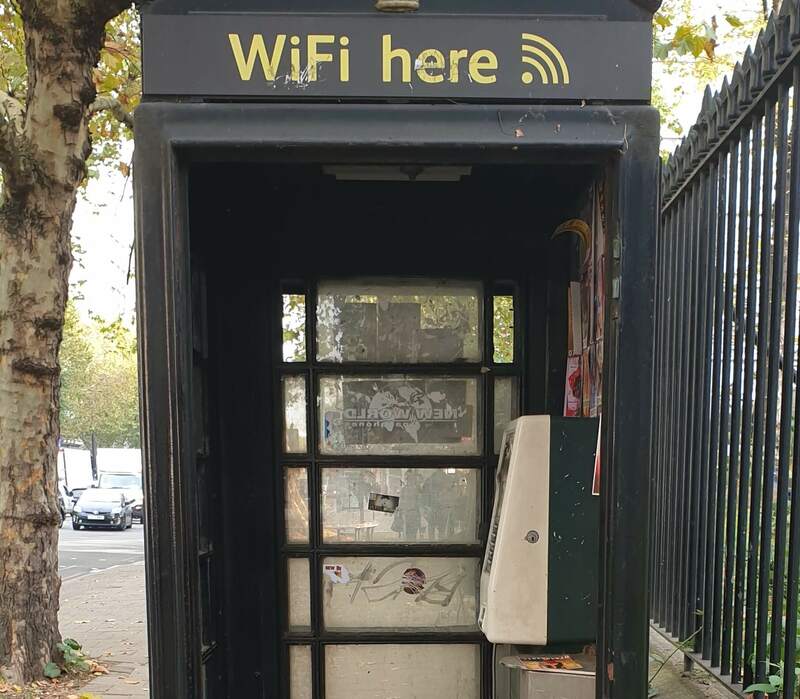 Rather than remove London’s phone boxes or simply leaving them derelict, somebody had the bright and rather generous idea of turning thousands of them into free Wi-Fi hotspots for public use. The idea is that whenever you need to go online, you simply find a telephone box and connect to the Wi-Fi signal it generates. What a fantastic idea! Well, fantastic at least in theory. In practice, the idea is less than perfect. 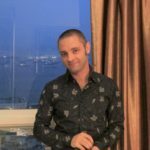 One problem is that even if they continue to provide a service that is relevant to the modern world, they still need someone to take care of them – but unfortunately, it would seem this is not always happening. 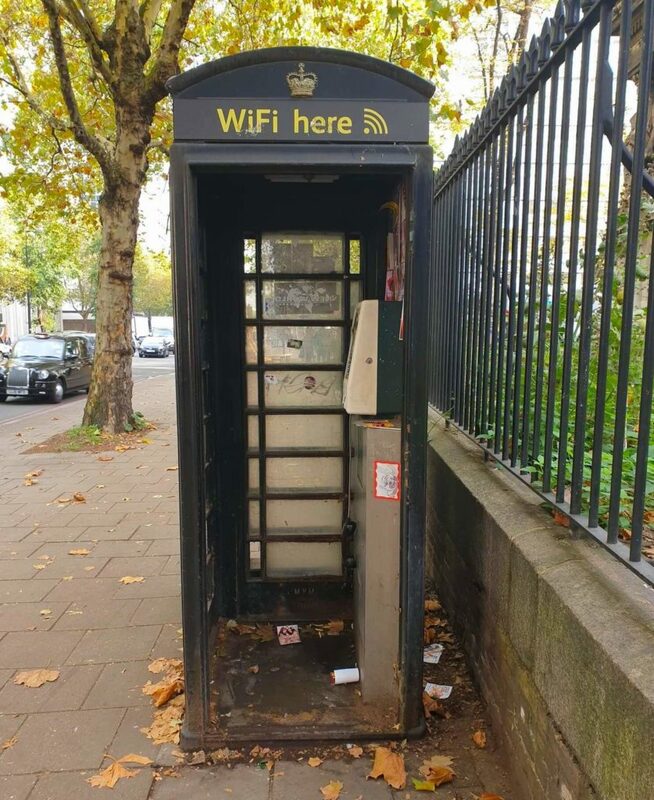 The project to convert the public phone boxes began way back in 2012, and since then, several thousand have been reincarnated as Wi-Fi hotspots. But already, many of them are looking more than a little sorry for themselves; others have found themselves decorated with small cards containing telephone numbers and offering services of dubious repute. Although some phone boxes in the busiest locations are being looked after and kept in good shape, a whole lot more are being left to disintegrate. To be perfectly honest, some seem more like places to avoid rather than convenient locations to go online. Don’t misunderstand what we’re saying here – if you’re outside and suddenly realize you have no data left, or as a tourist, you need to look something up but don’t want to spend a fortune on data roaming, these Wi-Fi phone boxes can be a life-saver. They allow you to send a quick WhatsApp message, check where you are on Google Maps or even – if you’re lucky – make a phone call over the internet. So as a last resort, they can be very helpful, but these outdoor locations are far less appealing than a comfortable coffee shop or warm, dry shopping center; you certainly wouldn’t want to hang around there for too long. You also have to wonder how good the quality of the Wi-Fi is likely to be in one of these phone boxes. And that’s before we even start talking about internet security issues. So we applaud London for this admirable attempt to make life that bit easier for locals and visiting tourists alike, but there is a better solution. When you travel, whether in London, the rest of the UK or anywhere else, if you want guaranteed access to unlimited high-speed internet without the need to wander the streets hunting for a hotspot phone box, what you need is a pocket Wi-Fi device. Pocket Wi-Fi allows you to go online whenever you want, wherever you want – and in the UK, this is especially useful because the chances are that outside it will probably be raining. If you would rather use pocket Wi-Fi than take your chances with a telephone box, you can pick up a travelerswifi.com device at Heathrow Airport or have it delivered right to your hotel. You will then have reliable internet access for the duration of your trip, and all you need to do is return it before you leave. Doesn’t that sound much more convenient than having to brave the notoriously temperamental British weather just to try to fire off a quick message or check your Facebook feed? If you are interested in finding out more about pocket Wi-Fi and the best way to stay connected while you travel, click here for details of our device that will give you unlimited high-speed internet access wherever you go – without the need to stand in a cold, smelly old phone box. Do you already know how to get to London City Centre?